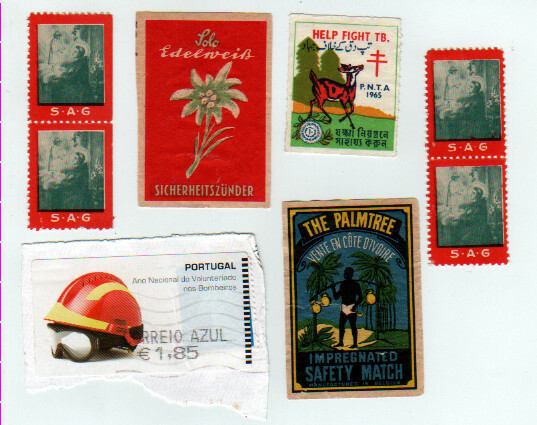 2 colorful vintage matchbox labels, one tuberculosis stamp from the Pakistan National Tuberculosis Association, an interesting Portugal machine label depicting firefighters and finally a couple of S.A.G. stamps (Saint Anthony guild). What do you like to find in stamp mixtures (besides good stamps)?